Until now, the story of this forgotten pioneer of African literature has been a mystery. For the first time, An African in Imperial London describes the tragic spiral that pulled this remarkable man down the social ladder from barrister to munitions worker, from witty observer of the social order to patient in a state-run hospital for the poor. The book provides an intimate view of London through African eyes as Merriman-Labor navigates streets bustling with millionaires made rich by South African gold mines, suffragettes demanding the vote, and destitute women selling matches to feed their starving children. 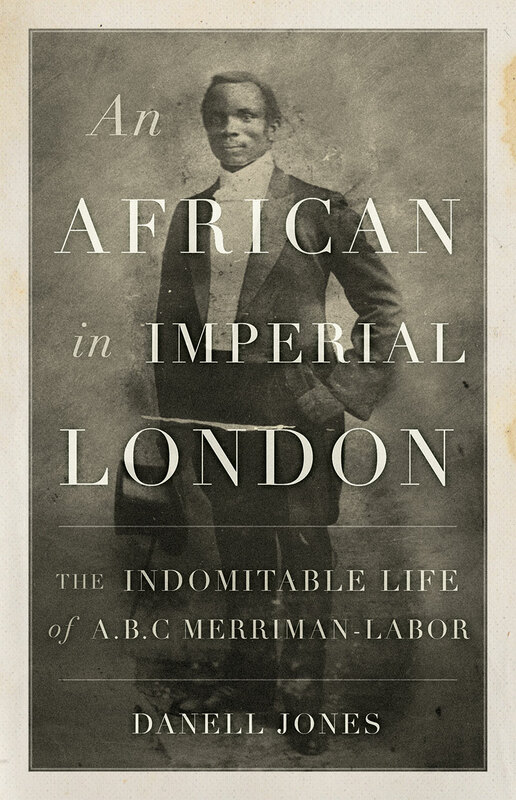 An African in Imperial London reveals London as a world of diversity, ingenuity, and struggle–a great read for anyone interested in how life really was in early 20th-century Britain. Elegantly written and meticulously researched. This is an important addition to the history of Africans in Britain. Historical rigour, literary skill and a deep sense of humanity pervades this splendid biography. The moving and surprising story of A.B.C. Merriman-Labor. Written with great verve… an enlightening account of what it meant to be black in the most powerful country in the world. Augustus Merriman-Labor stood on the threshold of his grandfather’s shabby house on Bombay Street. It was the dry season, and the parched breeze had already made the morning hot. In just a few hours, he would steam away from Freetown, a municipality of fewer than thirty-five thousand people, toward London, a city of six million souls—the biggest, richest metropolis in the world. Wearing a fashionable suit from Curzon Brothers of London and carrying a blue billet de seconde classe in his jacket pocket, Merriman-Labor watched the white pennant flag flutter up the pole on Tower Hill. It signaled the arrival of the Belgian steamer S.S. Anversville, the ship that would take him three thousand miles north on the longest journey of his life. In twelve or fourteen days, depending on the weather, he would be in London. London. The sacred source of every book Merriman-Labor had ever read, the maps he studied, the hymns he sang in church, the white baby dolls his nieces rocked, the Christmas tins filled with biscuits and gingerbread, and the humble enameled cups emblazoned with portraits of the King and Queen found in Freetown kitchens. It was the home of romance, culture, and justice. It was the sacred homeland of his Anglican God, and the destination of affluent Africans in search of culture and learning.